if i had to wager a guess id say that this is the wotlk version of the mag'har. I would think so too..
actually yes thrallmar seems the more logical comparison. The quest does not alter your standing with The Hand of Vengeance, but when you turn in the quest in Orgrimmar (troll/orc) you will interact with a NPC from that faction. When you discover a new faction the game announces your current standing with that faction. In this case you start as neutral. "The Forsaken tasked by Sylvanas Windrunner with enacting Undercity's vengeance against Arthas by delivering the latest strain of their deadly Plague." i have heard some of quest for Horde is Howling Fjord will be able to use some small siege weapon crush Alliance outpost. Is there a point to this faction? Quartermaster, quests, items, etc? So, one of my main goals with Wrath is to hit the 40 Factions Exalted achievement, and I'm curious about this faction - the quests listed will not give rep to exalted and there are no dailies to be found, as there are with WSO. Are there going to be more dailies, more quests added for this group? -Or- how does one reached exalted? The guards in venomspite has a tabard and i think its the Hand of vengeance tabard. It looks really cool. To bad you can't get it. Currently I'm at 1975/12000 honored. I think that's all there is...? Couldn't begin to say what you're missing, but as far as I'm aware, I've done every quest affiliated with them, currently sitting at 1915 into honored. I'm 1985/2000 which should be max. A group of undead, broken away from Arthas by a Ranger Banshee Queen, and now tasked with preparing a new plague to devour the flesh of Arthas, Scourge, Alliance, Vrykul, pretty much anybody who the Forsaken don't like...which is a lot of people by the way. And yet this faction doesn't have their own quartermaster, has only 4 fairly small bases of operation, and yet somehow this faction doesn't even reach past Dragonblight! A 72 or 73 max questing zone is the furthest in level progression this elite core of mad scientists and apothecaries will go? For shame Blizzard, you ruined my dreams of raining plague grenades and abombination crafting, can we just get a few more Hand of Vengeance ambassadors in some REAL more elite areas? Why was that downranked? I'm sitting at 2060/12000 rep currently, I assume it was because of the JC only quest at the Vengeance Landing. They have easily the coolest tabard in game. 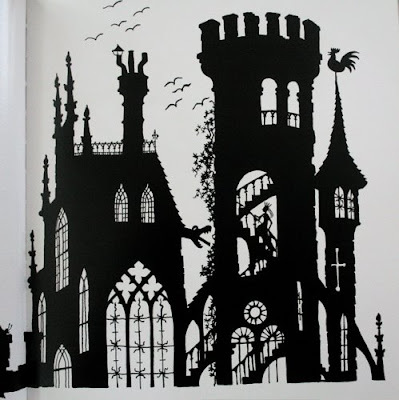 The buildings The Hand of Vengeance use always reminded me of the work of Jan Pieńkowski, a famous children's storybook illustrator and author. Isn't there any daily's for this Faction ? Just confirming, I'm still capped at 2060 Honored as well. Just wait the 3.3 and you will be easily maxing out both factions. Arthas is the top of Sylvanas's hit list followed by any other scourge. as of today i am 11844/21000 Revered with The Hand of Vengeance, I've noticed now that I'm exalted with Horde Expedition, The Sunreavers, and Warsong Offensive...all WSO quests Ive been completing have been giving me hand rep..so maybe exalted is quite possible now. It would be cool if when you get to exalted, you get an Apothecary title. not true, u get rep for taunka in halls of stone no matter what, atleast on heroic. To start getting rep with The Hand of Vengeance u must have allready exalted at 999/1000 with: The Sunreavers, The Taunka, Warsong Offensive. Then u can farm rep for THoV in any Northrend dungeon on heroic or normal. Correct, & confirmed as of today (November 23rd). The order is Warsong, Taunka, then Sunreavers. Once you have maxxed out these 3, then the rep fill switches automatically to Hand Of Vengeance - including Icecrown & Argent Tournament dailes. You're not restricted to just dungeon runs as others have suggested. i've been getting 68-69 rep (including guild bonus) per Tournament daily. It's not much, but by the time you hit the Argent Tournament, you shoud be at least revered with THoV anyway, so it is not too long - you'll be picking up THoV rep while you're doing what you're in Tournament for to begin with. To gain reputation with The Hand of Vengeance while in dungeons, you must have all of the other Horde Expedition factions maxed out through exalted. At revered, WotLK dungeons unfortunately don't give much rep for this faction unless it is on Heroic. And due to game mechanics, some dungeons are not solo-able for all classes on Heroic. I was unable to find any other dailies that give rep for this faction. Updated for Cataclysm: Argent tournament dailies do still give reputation to all of the Horde Expedition factions simultaneously once your Horde Expedition is maxed out. This amount is relatively small though. While there are still no tangible rewards for The Taunka or Hand of Vengeance, I'm one of those people who feel the need to get all reputations exalted. These reputations DO count towards your 40 Exalted Reputations achievement. A much easier way to get reputation is to unequip any tabard you may be wearing, and go to Utgarde Pinnacle on heroic. I'm a level 85 mage, and the trash is easy enough to clear up to the second boss by myself. (Note: The skeletons in the very beginning of the instance award rep as well!) When you get to the first boss, just hug the wall and walk right past her. This let's you clear enough trash to earn approximately 400 rep with each subfaction per run. The amount increases once you get one or more subfactions to exalted. At this point in Cataclysm and surely into mop, all the wotlk heroics are soloable by any class at 85+. I haven't tried oculus though I've read it's soloable, but it's not fast or easy. Leveling this rep is now easiest to do, in my opinion, by running the Nexus, Old Kingdom, Drak'Tharon Keep, Gundrak, Utgarde Keep, and Utgarde Pinnacle without a tabard. They all give ~2200 rep per run, so it comes down to your personal clear time. I tend to think that if you'd rather do it in the shortest amount of work, you should just run DTK, Gundrak, UK, and UP because that run has the best rep/minute rate. Obviously, you can do every original wotlk heroic per day and finish the rep in just a few days. Os Renegados, incumbidos por Sylvana Correventos de espalhar a última estirpe da Peste, conseguindo, assim, a vingança da Cidade Baixa contra Arthas.